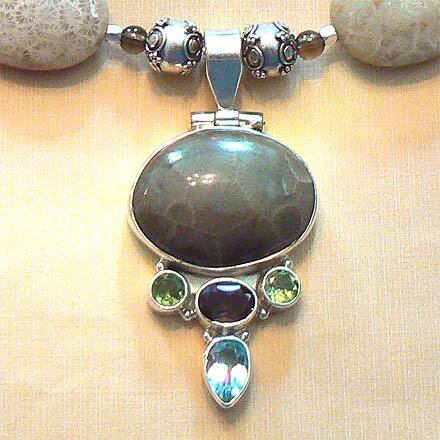 Fossil Coral, Smoky Quartz, Peridot and Blue Topaz earrings, bracelet, necklace and close-up of necklace. 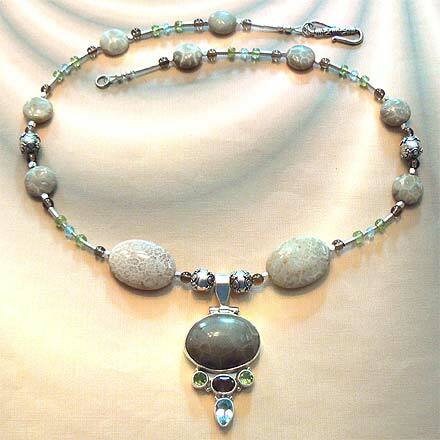 Sterling Silver Fossil Coral, Smoky Quartz, Peridot and Blue Topaz Necklace. 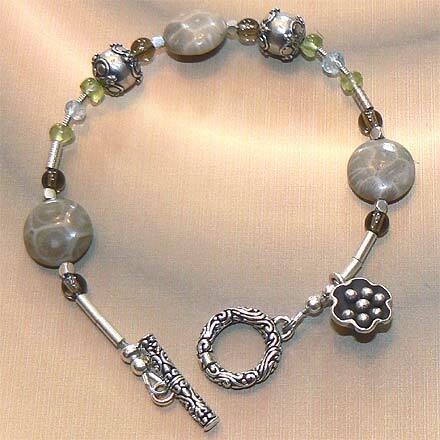 Sterling Silver Fossil Coral, Smoky Quartz, Peridot and Blue Topaz Bracelet. 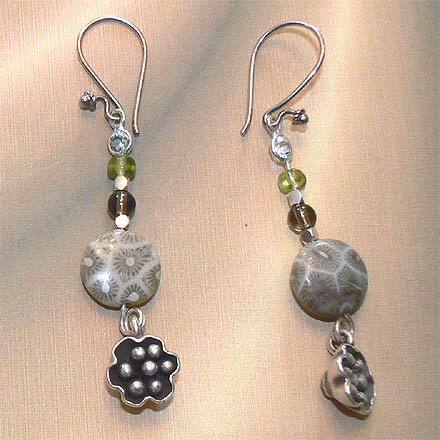 Sterling Silver Fossil Coral, Smoky Quartz, Peridot and Blue Topaz Earrings. Fascinating Fossil Coral…(sort of like Petrified Wood, but it’s Petrified Coral) highlighted with a lovely quadrant of the gem rainbow…brown Smoky Quartz, lime Peridot and Blue Topaz.